MOSCOW, July 31. /TASS/. German national football team’s defender Benedikt Howedes, who also plays for Schalke FC, has signed a four-year contract with Lokomotiv Moscow football club, the press service of the Russian club announced on Tuesday. The press service did not disclose the sum of the contract with the 30-year-old footballer, who won the 2014 FIFA World Cup playing for his national side in Brazil. Howedes played for Schalke FC a total of 335 matches since 2007 having scored 23 goals and chalking up 13 assists. In the season of 2017/2018, the footballer played on a one-year loan deal for Italy’s Juventus. 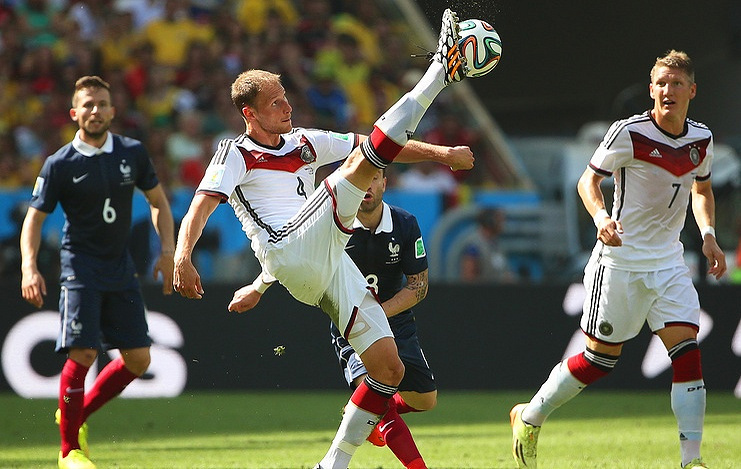 Playing for the national football team of Germany, Howedes scored two goals in 44 matches, becoming the 2014 FIFA World Cup champion, as well as the 2012 and 2016 bronze medalist of the UEFA Euro Cup championships.